"Bottom line, it seems like sandforce-driven ssds have the biggest number of issues, yet you still recommend them." Did you read the last sentence of Anand's review? Yeah I don't know what planet you have been living on, but in MULTIPLE articles Anand has basically ended with the phase, The only logical choice is Intel. How is that being a sandforce fanboy?? Given the continued issues with SF drives I'm quickly looking at other alternatives. Toshiba and Crucial have never been top end performers, which is why I've focused most of my recommendations on the Intel SSD 510. The biggest advantage SandForce continues to have is in better performance over the long run thanks to its live dedupe/compression. I've been working on a way to quantify that for a while unfortunately I don't have a good test I'm happy with...yet. Going forward I believe Samsung may be a bigger player. 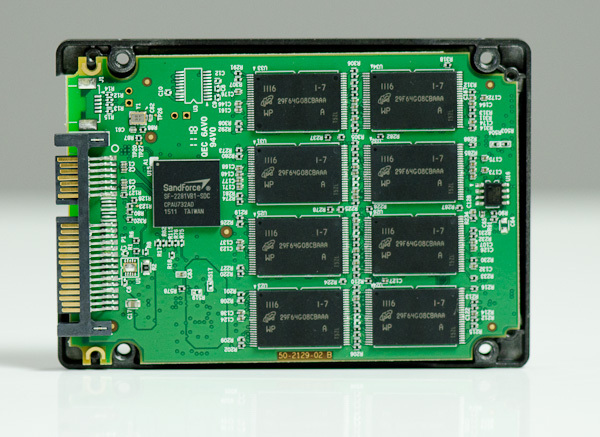 Take note of the recently announced PM830, expect full coverage of that drive upon its arrival. I'd argue for most mainstream uses it's a very good thing for long term performance. If the SF-2281 had Intel's track record it'd be the best option in my mind. Rather than beating up on you for not stressing reliability more in the past, I'm going to ask, AGAIN, that you take power more seriously. - a Kingston SSDNow V which I have as the boot/VM drive for my iMac running off USB. My original plan for this was to have it running off FW800 (which is in theory 7W of power), but I got the same thing as the two previous drives --- crashes with too many back to back writes. It's now running successfully because I stuck it in a Kingwin USB<->SATA bridge that is for 3.5" drives, and thus has a separate power supply and the ability to provide a lot of juice. All this basically mirrors (along a different dimension) what you have said: these drives are ABSOLUTE CRAP for the naive consumer. You buy them, things seem great, and then randomly and with no obvious pattern to the naive user, your system hangs. I have been feeling similar sentiments lately as well. I have posted in the forums on what happened to the 470 review but no official comment from anybody. Considering all of the reliability issues flying about, you woud think that if the 470 was a reliable as word suggests, it would have had a featured review. Some guy actually bought an Agility 3 based off the AT review and forum list of recommended drives and neither mentioned the BSOD. When he got it the BSOD, he went into the forums and kicked off. Rightly so. Unfortunately issues drag on for sometimes months before AT even update their article to make people aware that the product they might be buying could be seriously flawed.